This fall, Oprah will step away from her Instagram-famous harvest to start as a special correspondent on 60 Minutes. 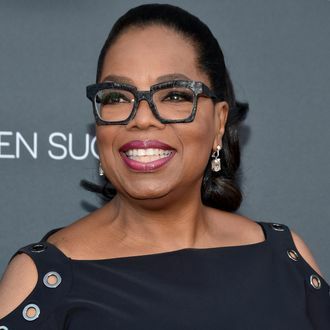 “I’ve been a big admirer of 60 Minutes since my days as a young reporter,” Oprah said in the CBS statement announcing her new side hustle. “I’m so excited and proud to join forces with this historic news program, which for me represents the bastion of journalistic storytelling.” Oprah’s hire is a big get for the legendary Sunday-night show, which began its 49th season in September 2016. According to the release, Oprah said she’ll file stories that will “help facilitate real conversations between people from different backgrounds.” But really, there are two takeaways: Not only is this is another chance for your Oprah “please welcome” voice fantasies to come true, but with Gayle on CBS This Morning and Oprah on air Sunday nights, think of what this new gig will do for their best-friend Instagrams.